It is my second assignment to Art Basel Hong Kong that entails a whirlwind of an experience at The Peninsula Hong Kong. I was picked up at the airport by two airport representatives who took care of picking up my checked-in luggage. 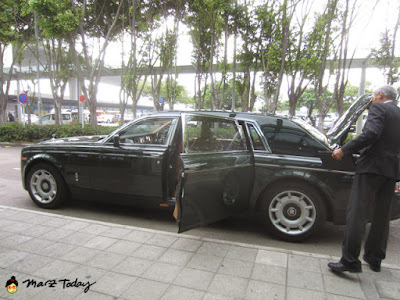 Later I was escorted into the hotel's signature Peninsula green Rolls Royce. Thanks for pimpin' my ride MTV! uhh my selfie game is never strong. The Peninsula Hong Kong sponsored our team's accommodations. The hotel has a score of 93.22 out of 100 and ranks 35 in the world's top hotels as reviewed by Travel and Leisure magazine (talk about luxury brands.) 15 minutes later, I settled in my room facing the Kowloon side. The Peninsula Suite (top tier room) faces the Hong Kong side affording its guest a view of the harbour and the skyline of Hong Kong. 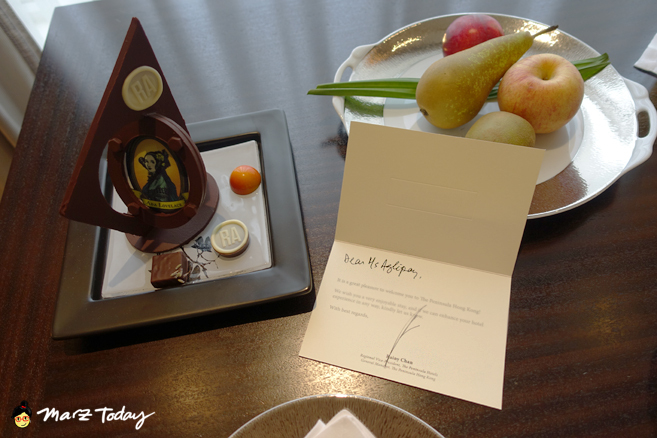 A spread of fruits, artisanal chocolates and a note from the hotel's general manager Rainy Chan awaited me as a welcoming gesture. 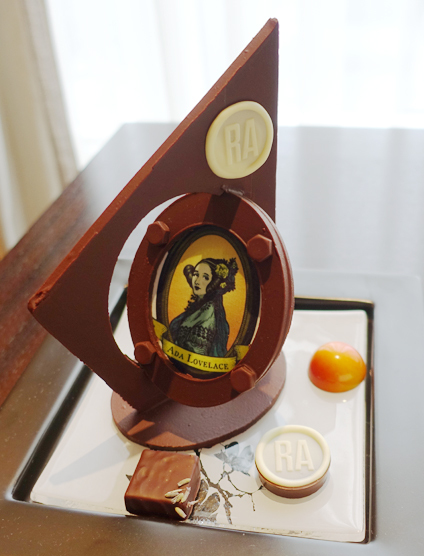 An Ada Lovelace portrait encased in a chocolate frame with pralines on the side is in line with the theme of the ongoing Love Art at The Peninsula exhibit featuring the work of Conrad Shawcross which is on display at the Peninsula Hong Kong's hotel lobby until April 22, 2016.